At the age of 28, I think I've kind of locked down my own personal style. 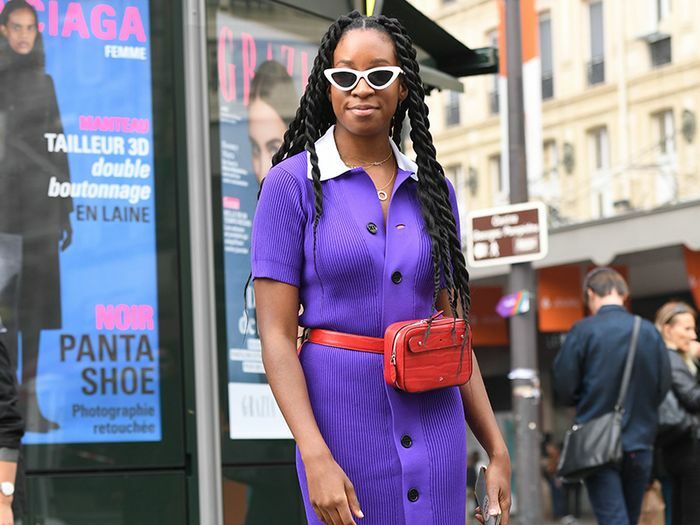 Don't get me wrong, I love to experiment every now and then, but on a day-to-day basis, you will find me in either a long floaty dress with trainers or some kind of tailored trouser with a polo neck and, yep, you've guessed it, trainers. 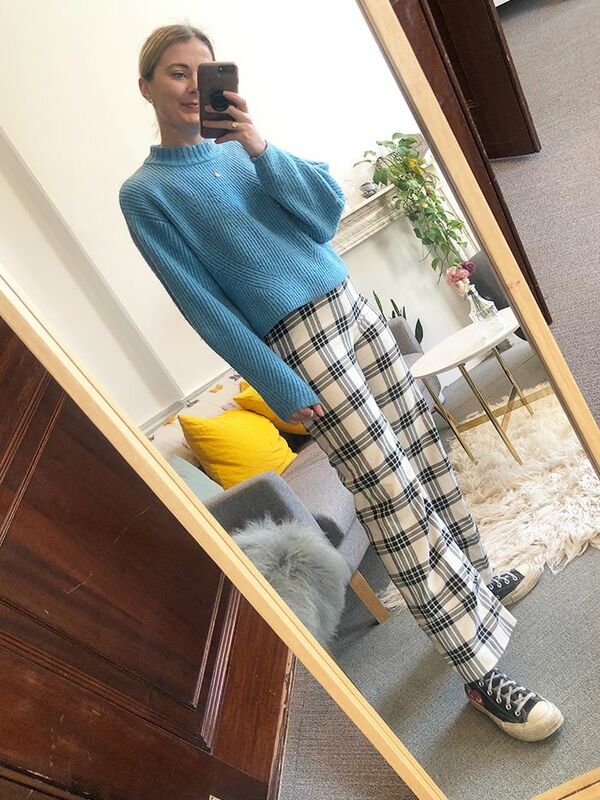 Given the temperamental British weather, I normally opt for the latter outfit to save my ankles from the cold, and there's one place I always go for my trousers: H&M. My obsession with its trouser choices started about a year ago when I bought my still-going-strong favourite pair of checkered kick-flares. They fit perfectly, sit just on my ankles and have a slight kick at the bottom that looks perfect when partnered with boots, trainers and heels if I'm feeling brave. Fast-forward a year and a half, and I still wear them on a weekly basis, but I've also added more H&M trousers to my collection, and whenever I wear the above black-and-white pair and share them on Instagram, I get a stream of DMs from people asking me where they're from. Unfortunately, mine are now sold out, but they do have a very similar pair here. But these aren't the only trousers gaining traction on Instagram. Keep scrolling to see four other standout H&M trousers. I've been eyeing up these yellow wide-leg jeans for a while now, and I think I'm going to have to add to basket. They come in brown too. I wouldn't normally wear white trousers but these crisp suit ones caught my eye and now I can't stop thinking about them. I love how Tabine has paired them with an oversized denim jacket and a baker boy cap to tone them down a bit. Linen? Check! Matching blazer? Check! Worn by Alexa? Check. These beige trousers would look incredible worn with similar tones. These zebra-print trousers have been all over my feed, for good reason—just look at them. I'd team them with a white T-shirt and converse. These cargo trousers have gone straight on my wish list. I have these, and they're so comfortable! Okay yes, I'm going to have to buy these immediately. Up next, these are the shoe trends you need to pay close attention to for A/W 19.